Swink Electric – West Palm Beach Florida Electrical Contractors – It’s Graduation Season! Shout out to our wonderfully talented Electrical Apprentices here at Swink Electric! 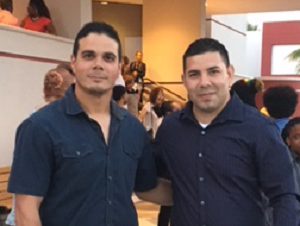 Both Geo and Drianet have been promoted to the next level at the Florida Electrical Apprenticeship Program–with Drianet scoring best in his class and best overall! We are so proud to have them as a part of our team and know that there are only great things for them in the future! Congrats to Geo and Drianet for a job well done!